Note to hikers, bloggers, readers, etc: It’s been six years since the last post at Two-Heel Drive, so it’s safe to say things are on hold around here permanently. I updated this blog regularly for more than six years, and it’s packed with hiking knowledge from trails in the San Francisco Bay Area and central/western North Carolina. Plenty to see and read, just note that it’s all circa 2005-2011. Most trails don’t change al that much but still, some stuff might be out of date. Happy trails, as they say! Two-Heel Drive pairs my insatiable hunger to hike with my inexplicable urge to blog. I started my first blog long before the term existed; two or three blogs later I was in my mid-40s, hopelessly out of shape with a beer gut that would’ve done Tony Soprano proud. Then I moved to a little place in the hills east of San Jose, California, in the summer of 2004 and started walking around the neighborhood. One mile led to another, and one pound after another melted away. By the autumn of 2005 I had hiked off more than 35 pounds and gotten back into Levis I hadn’t worn in 20 years. So it was high time to start another blog. Two-Heel Drive is the result. I hiked just about everywhere worth hiking in the San Francisco Bay Area until the summer of 2009, when I moved to North Carolina and started working my way down a long list of must-trek trails. Two-Heel Drive chronicles all those hikes, plus the links, knowledge and cool people I’ve met along the way. When I worked at the San Jose Mercury News, I wrote a twice-monthly hiking column in the weekly Eye entertainment section from the spring of 2007 through the summer of 2008. (All columns archived here). In the summer of 2009, EveryTrail.com hired me to write dozens of smart-phone travel guides. From October of 2009 to January 2011, I was assistant editor at Trailspace.com, the Backcountry Gear Guide. Two-Heel Drive has taken many forms. At first it was a general-interest hiking blog; then I refocused it on the Bay Area, and after that I refocused it again on my weekly North Carolina hikes. Those remain a staple, with pictures, descriptions and vital links. If you have a hiking blog you’d like to tell the world about, feel free to post a comment — it’s a good way to get the word out. How I pay for all this: A hiking blog is a cheap hobby, but’s it’s not free. All the hosting fees and hourlong drives to trailheads add up, so I have affiliate deals with REI.com, Backcountry.com and a few other retailers. If you click on one of their links and buy something, I get a little commission, typically between 4 and 10 percent. If you don’t like it and return it, they revoke the commission, so I have no incentive to link to crap you won’t keep. I won’t put my name behind anything I haven’t either a) tried myself or b) researched to my satisfaction that it’s worth a look. Frankly I’d rather muse about the wonders of nature and the glories of walking upright as our species has done for 100,000 years, but the gear content helps pay the freight. I’m from Ontario, so most of my hiking trips have been in Canada. I did manage to enjoy the outdoors on two trips to the U.S., however. On a business trip to Irvine, California in the fall of 2000, I managed to steal away for a weekend to Cleveland National Forest. The drive through the mountains was awesome and the SoCal style of backcountry was a nice change from what I’m used to. Joe: welcome to the blog; I hope to be linking you yours in coming days. One thing I noticed as I was tracking down all these hiking sites is how damn many other totally awesome trails there are around the country. Heck, it’ll take half a lifetime just checking out the ones in California. I hope you won’t mind a little competition if I ever get mine started. You seem to be doing nice work. I’ll be checking back often. Jack: It’s not a competition, it’s a community. One good blog on any given topic will encourage others to start their own. There’s so much stuff out there that it’s impossible for a single person to cover it all anyway. For instance: I see “norcal” in your handle, which suggests you could do a blog on hiking in northern California that wouldn’t compete with mine at all. This is an excellent page. I go hiking with my time-share dog, Edna, every weekend around Portland. I should start a hiking blog like you have done– funny I haven’t thought of it before. Edna is cute, sweet, and slightly insane, and deserves to have her adventures admired by millions on the world wide web. So it’s the copy editor who writes those silly headlines, is it? The sillier the headline, the larger the font size–is that how it works? Henry: I used to have a whole blog devoted to copy editing but it got to be too much like work. It’s testament to the purely average writing skills of your average newspaper hack that pun headlines are considered clever, creative, etc. Many of them win awards. But it might reassure you to know there is a website for folks in our trade called http://www.testycopyeditors.com — its keeper works at the Washington Post and insists there’s no place (much less a need) for pun headlines in the paper. He’s had to fight off torrents of abuse for taking such a contrarian stand. As to fonts: technically, your statement should be “the siller the headline, the larger the type size.” A font is a collective of character shapes, not sizes; the font stays the same but the type size can change. Very large type is often called “display type” — the idea being that the words become a visual element on a page like photos and charts. It used to be that only big news got big headlines, but that was before desktop publishing made it so easy to get all cute and creative. This is a good site, Tom. Hope you don’t mind that I link to your site. Tom, you’ve got a good thing going here. Keep up the good work! Meanwhile, you and I are practically neighbors – I live in Sunnyvale, and I’m out there on the same trails you are at least every other week, if not more often. Saturday found me leading a group at Mt. Diablo, which had had a good dusting of the white stuff the day before. Could be there’s a hike in our future! So I google “hiking blog” and Wham! There you are siting at the number one spot… Good Job! Quite appropriate too, you’ve got a great site here. I’ve just started my hiking blog focused on the Flathead Valley, which includes Kalispell Montana, and I’m itchin to get out on the higher trails! Snow’s melting slowly! Great Site! Great Community! See ya on the trail! Hi you all. I planning to take a three-days, two-nights backpacking trip with some High Schoolers from my local church through Big Basin but I dont’ know where to begin or where to end, trails to take and places to see. These young men have never gone backpacking and want to introduce them to the beauty of it. Can you guys recommend anything, a book, a website? Thank you all, and God bless you all. Go to http://bigbasin.org — all the info about camping in the park is there, plus it has recommendations for routes. Also, be sure to call the park’s main office (the number should be at that website somewhere) and reserve your campsites. Just tell the ranger or whoever is on the phone what you’re planning and they’ll provide all the help you need. Good to see a quality hiking blog out here. Enjoy your adventures and your musings! Hey Tom, ran into your hiking blog via the Trout Underground. I’ve recently put my own blog out there to share as well at http://gsmhiker.blogspot.com, which will highlight day hiking, backpacking, and fly fishing in the Great Smoky Mountains in Tennessee and the surrounding areas. It’s a WIP for sure. I look forward to checking back on yours for the happenings of SoCal hiking in the future. Thanks Tom. Hey Tom, thanks’ for checking out my blog and hipping me to your own. Very inspiring seeing all those wonderful hiking photos and info. It’s Tom here from Australia. I found your blog while searching for “hiking blog”. I’m into all things that have to do with nature, such as camping and all that stuff. I see that you’ve never hiked here in Australia yet. I just came back from Grampians last week. For those who don’t know where that is, it’s in Victoria, Australia. It’s the third largest national park here in Victoria. I was up there with a couple of mates for a whole week, hiking, barbequeing and basically having the time of our lives. Should you happen to be in Australia, let me know. We have great hiking locations that are sure to blow your mind. Great blog, by the way. Keep it up! Just back from section hiking PCT section D. Really dry down there in Southern California. I’m concerned for the thru-hikers just starting out. We had a dry camp every other day, and I started out from each water source with 2 gallons. You might enjoy our site http://www.backpack45.com – don’t know how to classify it – good stuff on PCT & Camino de Santiago, plus general long distance hiking tips. My name is Alexandra Snyder; I am the Content Editor at HealthCare.com. I’ve been reading your blog, Two-Heel Drive, A Hiking Blog, and was really impressed by the content. I would like to invite you to feed your blog to our blog community. We have a growing community of bloggers, health care seekers and care providers, and are one of the top online health destinations in the U.S. We currently receive millions of visitors each month! By feeding your blog to our site you will expose your posts and work to the millions of users in our network since each post is featured on our homepage. This is a great way to increase traffic for your existing blog or website and gain notoriety. Best of all, it’s simple, no need to write a separate blog or leave your current blog site. You would simply create an account at http://blogs.healthcare.com and feed your content. Please feel free to contact me if you need help setting up your blog feed, I will be glad to help you. Just stumbled on your site in Google Reader, it’s now added to my RSS faves. I live in Seattle and haven’t done much hiking in CA (some in Yosemite area), however, I’m in the bay area every few weeks or so for work – perhaps I’ll make a weekend out of it one of these days and check out some of the day hikes you mention. I’m a big fan of Ultralight backpacking – and have my own blog if you wanna add it to your reader and check it out – http://www.brettonstuff.com. My name is Heidi Ahrens and I live in Carbondale, Colorado. I have just launched a new website http://www.outdoorbaby.net. It is a website for families who enjoy the outdoors. It is a place where parents can get advice on how to proceed in the outdoors with their children. I believe that you may be interested in my project. Many parents may need extra information on how to bring their children outside; that is what this site is for. To help parents feel supported on their desire to share nature with their children. This is a free site to use and it may inspire some of your readership We have running, climbing, camping, hiking sections and many more. As an educator I believe that we have a responsibility to start to reintroduce the awe of the natural world into our lives. I hope this site inspires more families to step outside. Please take the time to browse through the website and let me know what you think. You can also pass my information along to anyone who may be interested. The Los Padres NF and Ventana Wilderness will open May 1 except for the Pine Ridge Trail. Lots of problems there with fire damage. I couldn’t find a way to give you hot tips so I hope this works. I wanted to give you the heads up since this seemed up your alley for Two-Hell Drive. We are gearing up to launch a new website called Sierra Club Trails. It’s (as far as we know) the first-ever comprehensive hiking wiki…A website where anyone can post their favorite hikes and anyone else can edit the descriptions so that the trails are constantly up-to-date. The site is up and running in a beta test now, and we’re planning to launch it this Thursday, July 9th – so I wanted to make sure you were in the loop. What makes this site unique is that it’s a wiki – i.e. anyone can update or edit the trails that are posted. So if I post a trail in, say, Yosemite, and you’ve been there recently and saw that part of the trail is really muddy, or the bugs are bad this time of year, or if camping spots are getting really popular and should be reserved in advance, you can update that. In addition to hiking and paddling trails, the site also features tips for hikers, a birding blog, photo contests, and Nature Notes, a series of audio features based on interviews with naturalists and Sierra Club Outings leaders. Sierra Club Trails is also an online community where users can create profiles and meet other hikers and nature-lovers, as well as join discussion forums with topics like the best trail mix recipe or whether guns should be allowed in national parks. Community members can form groups around a particular outdoor interest or place. Does this sound like something you’d be interested in covering for your blog? We thought that “Two-Heel Drive” readers would be interested to know that in honor of the series (and to spread the word about the importance of protecting our national parks for future generations), we are giving away a trip to Yosemite and San Francisco as part of our 100,000 Champions for National Parks campaign. Our goal is to get to 100,000 names by October 4th – All you have to do is sign our statement of support for parks at http://www.sierraclub.org/parks. Tell us your favorite national park and your name will be added to the scrolling list of “Champions for Parks” on our homepage. Your readers might also be interested in the other info we have up on http://www.sierraclub.org/parks – tips for how to visit the national parks, an interactive map featuring info about 12 of our most iconic national parks, the best trails to enjoy in each of the parks, interviews with Ken Burns, video excerpt from the series, and more. Is this the kind of thing you would be interested in covering? Visit http://www.sierraclub.org/parques to see a trailer of the film and find helpful resources – tips for first-time national park visitors, highlighted Sierra Club Outings trips to national parks, and information about some our country’s most beloved parks – all in Spanish. Bilingual spokespeople from the Sierra Club are available for interviews. Would you like to schedule an interview or receive more information? Just found your blog, and am picking my way through. Lots of great posts here. Mostly just wanted to say Welcome to North Carolina! Looking forward to future posts about my favorite places in the Blue Ridge, and all across NC. Stone Mtn. was a good start, but there’s so very much more out there! 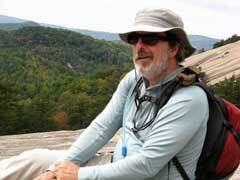 Tom – I rated your blog as one of the best hiking blogs for 2010. I would love to pull an image to add to the post. If so let me know. Just wanted to give you a head’s up on the Sierra Club’s new, exciting opportunity that just may be The Best Internship on Earth. One lucky young person will get to spend this summer traveling around the country to Sierra Club’s outdoor youth programs, including our Inner City Outings, Volunteer Vacations, and Building Bridges to the Outdoors – the intern will video-blog about all of the outdoor adventures that he/she will have (backpacking, rafting, hiking, and more). On top of that, he/she will receive a $2,500 stipend and be outfitted with $2,000 worth of gear from The North Face and Planet Explore! No previous outdoor or video experience is required. Applicants just have to be between the ages of 18 and 25 and have a real passion for exploring, enjoying, and protecting the outdoors. I think that the readers of Two-Heel Drive would be greatly interested in applying for this. Would you want to blog about this? Just wanted to thank you for sharing all this great info. I’m taking your advice and choosing between tomales bay and mount diablo! Boston transplant in the East Bay! What a wonderful concept for a site, and an alluring lifestyle! Best wishes to the future success of this site and yourself. I read and do many of your hikes (thanks so very much). I live in Palo Alto and I would like to go on my first backpacking adventure. I was wondering if you could suggest something for my husband and I? My husband, because of a tumor in his leg, can only hike 4 miles at most and it cannot be strenuous or go up high in elevation. Is there a good backpacking adventure we can take with these stipulations in mind? Any advise you could give us would be great? My husband used to work for the Merc, now at the Times. I love your Bay Area Blog and I am so glad I can use it to find great hikes. Point Reyes might be the place: There are some short hikes to the coast. It will take some planning as you’ll have to reserve your site months in advance (for the weekends anyway; during the week there is more availability). Everything else is pretty hilly. I’ve recently come across your blog and I think it’s absolutely brilliant! I applaud you for inspiring the explorer in all of us. I’ve added a link to you on my website, Plan on Adventure. (Please let me know if you’d like the link removed for any reason). My website is about methodically planning to make rare once-in-a-lifetime experiences actually happen. I imagine the reason a lot of people never go on that most epic adventure is because, given the average person’s daily responsibilities, it often seems too daunting a task for them to just leave it all behind and haul off to some remote place. If these would-be explorers would just take some time to write down an action plan, the impossible would suddenly seem more attainable. I’ve written Plan on Adventure to help. The section on financial planning is especially helpful – after all, cost is a huge hurdle for most people to overcome if they are to realize their fantasy adventures. If you think your readers may benefit from some step-by-step adventure travel planning, I’d be more than happy to write a guest post on your site. Or if you think a link to my site from yours might be of use to your readers, I would be humbled and honored. Please take a look at my website and keep me in mind. Thanks for the blog! I was trying to find out what is involved in getting my own blog, http://www.hikingsaltlake.com, added to your blog roll. Regardless of if that’s an option or not, I’ve listed your blog on a new site I just put up, http://www.besthikingblogs.com. I love your site! Your adventures are inspiring! I wanted to mention a contest we are doing that I think will appeal to your readers. We would also be happy to mention and link to your website in one of our upcoming emails. We send to 15k weekly. Information is below on the contest. Please email me if you are interested and thanks in advance! SylvanSport, along with 8 partner companies have hidden a cache of spectacular outdoor gear somewhere in North America. Find it first, and it’s yours! This collection of gear is valued at over $15,000. This fun and unique 8 week event was tremendously successful last year, and this years’ contest promises to be bigger, better and most importantly… even more fun. Just wanted to pass along some information in case your readers may have interest: My husband and I just launched a new website for hiking trails in Glacier National Park: http://www.hikinginglacier.com/ Our site offers detailed information on more than 60 trails, including trail descriptions, key features, pictures, maps, elevation profiles and more. HikinginGlacier.com is the sister site to http://www.hikinginthesmokys.com/ the number one hiking website for the Great Smoky Mountains that we launched in April of 2008. My husband writes a blog for both sites. Like yours, it takes a lot of time and effort and we also have affiliate agreements with retailers to help offset the costs – but it’s well worth the effort. I found your site while trying to build links to my camping site http://www.CampeWiz.com It’s a site that allows you to create and manage an online camping list. It hasn’t gotten much traffic so I’m trying to get it a little more exposure in Google by doing some link building. I really hate doing it but it needs to be done or no one will ever use my site because they won’t find it in Google. I’m going to start reading your blog especially since I’m currently living in Asheville North Carolina. I moved from Detroit about a year ago. I haven’t fully gotten into the hiking thing yet. I thought I would be further along with respect to hiking after living here in Asheville for over year now. Anyways, I’m hoping to get inspired and find some good trails from your blog. The Julian hike looks pretty cool and it doesn’t seem to be to far from Asheville. Most of my hikes so far have been right off the Blue Ridge Parkway, but I know there are a lot more interesting ones out there waiting for me. Anyways, I’m glad I found your blog and I book marked it so I can come back. I’m also an ex-Detroiter … now in Lexington, NC since fall of 2011. Still trying to get my boots muddy. Have you blogged about health concerns for hikers? Long days on the trail can mean back issues at night! At http://www.floreschiropractic.net/ we approach stiff problems with gentle solutions. Come check us out! Anyhow, I thought it might be of interest. I hope you return to the Internet again in 2013! “curriculum” into schools, churches, and etc. legs it needs to make a difference in the mainstream. for all that you already do to help so many to live so much better.